weekends, the list goes on and on. One of the toughest issues in my cases is the issue of spousal support: how much? how long? people and sadly on children. move people through the process. Court because your spouse is being completely unreasonable and you need judicial intervention. destroy each other going through the divorce process. that 70 percent of the people in Deschutes County are filing “pro se” (representing themselves)? 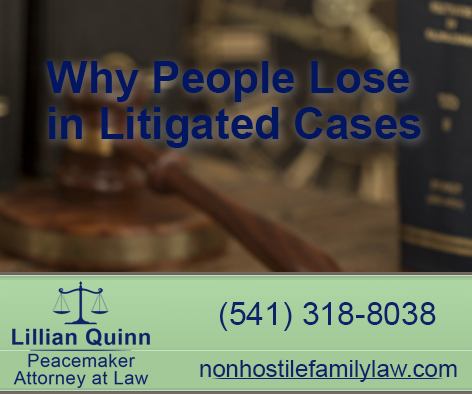 help people through the process without litigation. Next Post: Summer Vacation is just around the corner. . . .